If you have an area where you are currently using conventional sprinklers, or are installing a new sprinkler system, take a look at the Maverick High Flow 12 Zone 2 GPH Sprinkler Converter. 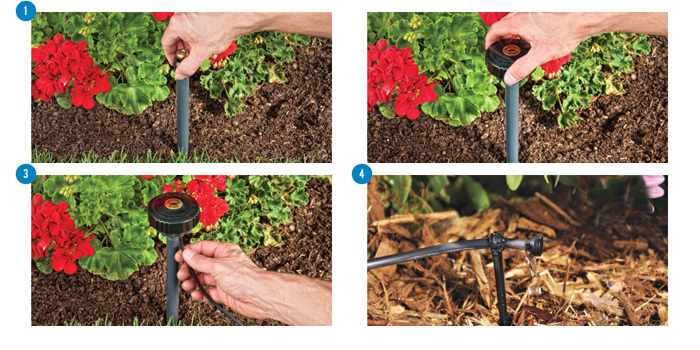 While large areas such as lawns are best watered by sprinklers, other areas such as shrubs, trees and planters could be better watered by drip irrigation. The Maverick is easy to install, all parts are included. With this kit you can irrigate a minimum of 4 zones to a maximum of 12 zones with 2 GPH (gallon per hour) per outlet at operating pressures from 10-80 PSI. 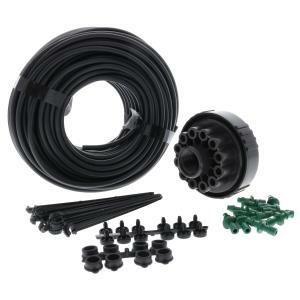 The Maverick Converter Kit is ideal for planters, roses, shrubs, trees and ground cover. The Maverick 12-zone drip head is designed to adapt to any 1/2" MPT riser above or below ground. It may be incorporated into a new system, or used to convert an existing sprinkler to a 12-zone drip system without disturbing the flow of the other sprinklers on the line. The Maverick uses extremely accurate pressure compensating nozzles ensuring equal flow over a wide pressure range, and is designed to operate for the same duration as the rest of your sprinkler system.